SIP have introduced a digital Speedo assembly for Lambretta Series 3 Scooters including LI, SX, GP and TV models. The Speedo is available with either a black or white face and is supplied with wiring harness for a trouble free installation. Also included in the extensive fitting kit supplied are temperature sensor connectors, extension cable for the temperature sender, and an external button allowing you to keep your hands on the bars and change the display. Viewable display information includes rev counter, average speed, clock, speed, thermometer, odometer and trip distance. 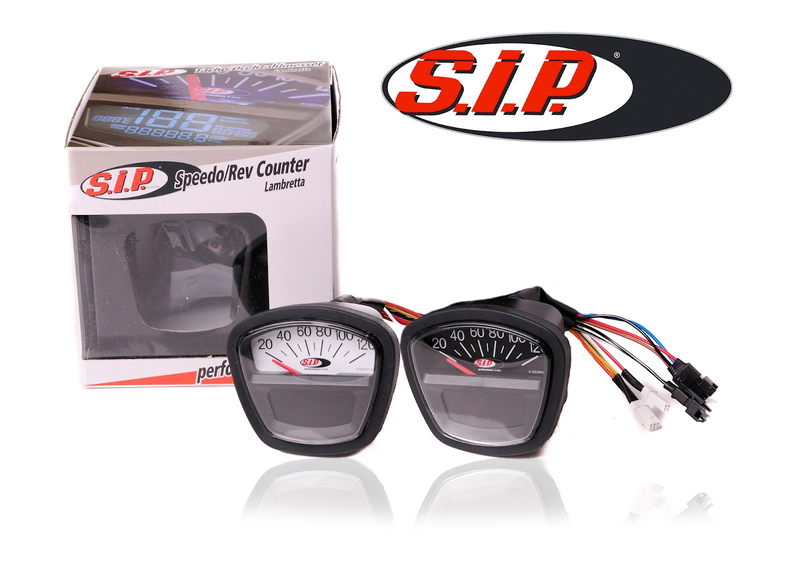 SIP have designed the digital Speedo assembly to run on either 12 volt AC or DC machines allowing every Lambretta Series 3 owner to utilise this product.